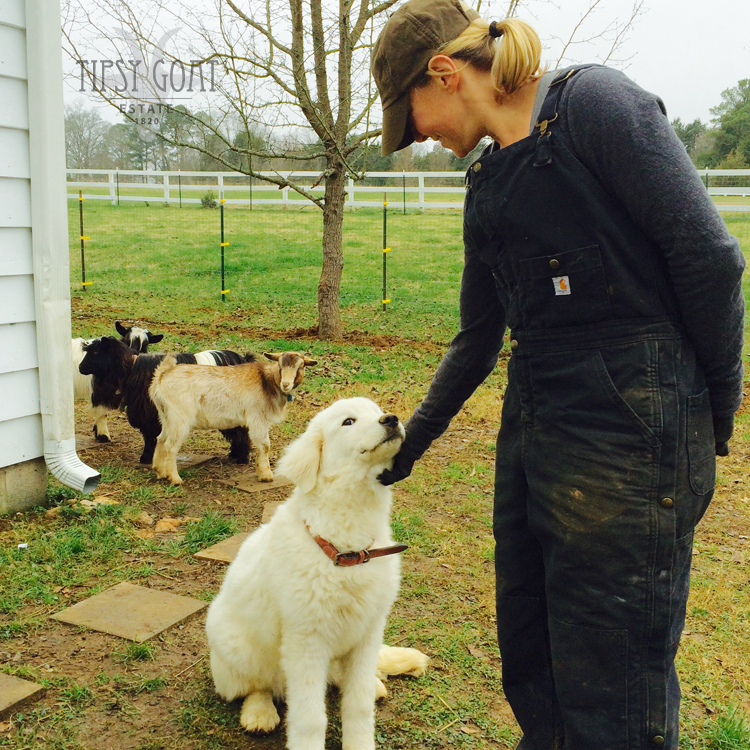 Tipsy Goat Estate | Welcome Pippo! The newest addition to the Tipsy Goat Estate family joined us last Thursday. Sweet Pippo spent the weekend getting muddy and acquainted with all his new friends. 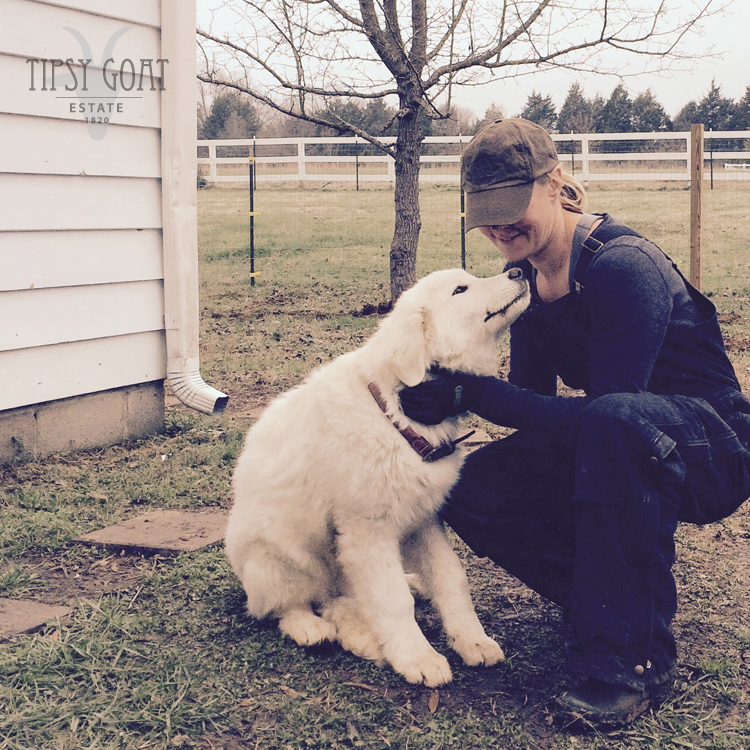 We’ll have more about this curious pup and his most important role at the farm in the coming weeks.